Having leftover mashed potatoes? Turn them into this easy mashed potato flatbread! It’s a yeast-free & oil-free side dish that everyone loves! 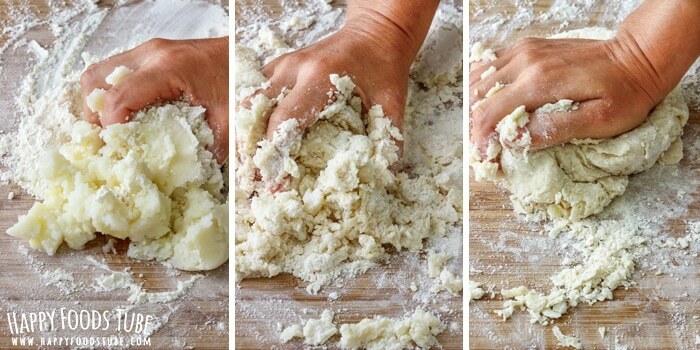 Making mashed potato flatbread is so easy that even kids can do it! It’s also perfect for beginners as there are no special skills required to make it. This is a very simple flatbread recipe that is perfect for using up leftover mashed potatoes. So if you have some potato leftovers from Thanksgiving or Christmas, this is THE THING to make! Similar to Sweet Potato Flatbread, this goes well with all sorts of dishes: curry, meats, braised cabbage, fill it, top it or eat it plain. There are unlimited possibilities and you can find your own way to enjoy this mashed potato flatbread the most. Now it’s funny how we think about certain foods or dishes are typical for say our country. We might even believe there is no such thing anywhere else in the world. Well, let me tell you that that is hardly the truth. Take this mashed potato flatbread. In Slovakia where I come from this side dish is served traditionally with duck and braised cabbage. We call this potato flatbread lokše (pronounce lokshe). 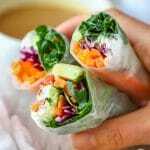 I’d say it was highly popular due to its simple preparation, easily available ingredients and the most important fact that there were only 2 ingredients used to make it. When people were short of money this was definitely the thing to make! 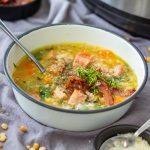 So there I am thinking that lokše are a typical Slovakian side dish that is hardly to be found anywhere else. Well, let me tell you I was wrong. You see, in Norway they have lefse. 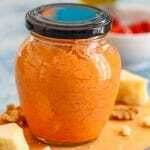 Unlike in Slovakia, they prefer eating them sweet – with sugar, cinnamon, peanut butter, jam, …. They also add butter, milk or cream in their mashed potatoes while we normally don’t. Then I move to Ireland and find potato farls. 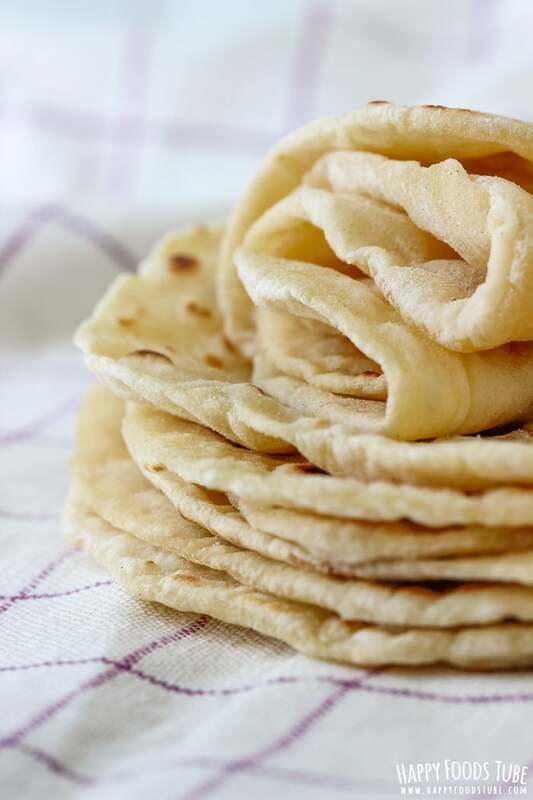 Farls are similar to this mashed potato flatbread when it comes to their taste. They don’t look like tortillas though. Farls are way thicker and quadrant-shaped. Isn’t that interesting how we come across similar tastes when we travel the world? 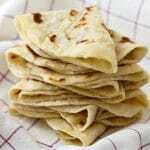 So whether you call them Slovakian lokše, Norwegian lefse or simply mashed potato flatbread it does not really matter! What matters is their taste that will not disappoint you! I guarantee you that. So I generally go with one cup of potato mash and one cup of flour. This is mixed together. It is very easy and only takes about 2-3 minutes. The dough will be soft but should not be too sticky. It should not be dry. Sometimes your dough might need more flour. But try adding it only when it’s way too sticky to work with. I recommend using more flour for dusting rather than adding extra in your dough. 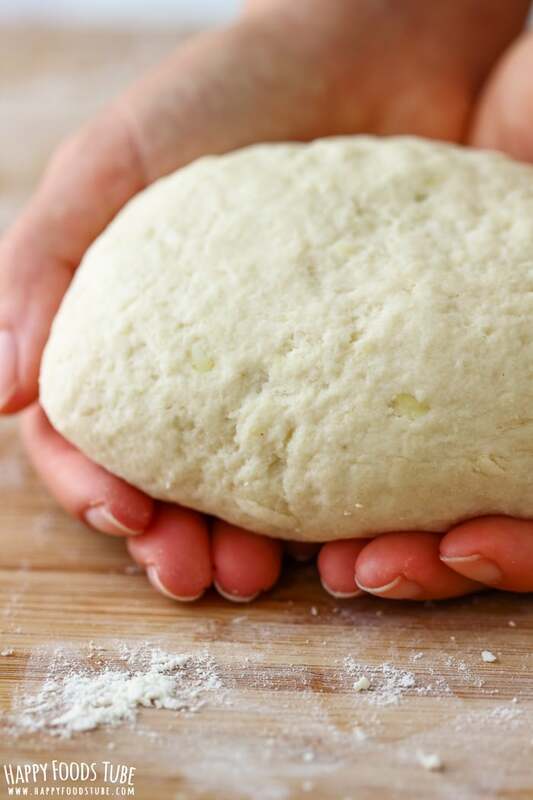 The best way to form the dough is on your work top. It’s the quickest way and you can save a bowl this way. Roll the dough into a sausage and cut into 8 pieces. If you have more mashed potatoes, feel free to double the recipe. Rolling out is easy but make sure you dusted the work top as well as the dough well. You don’t want it to stick to your rolling pin or work top. 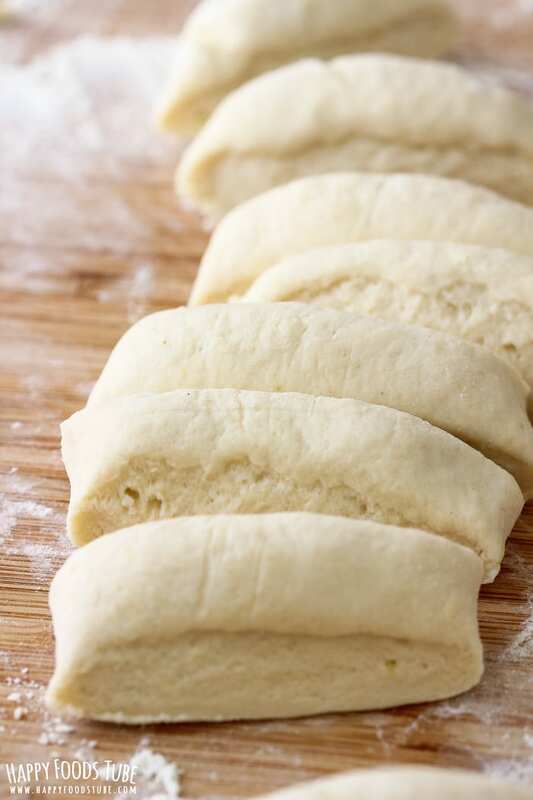 Roll out a few flatbreads before you turn on the pan to dry-fry them. Then you gave yourself a head start and while dry-frying those, you can roll the rest. Roll out all of them first and then dry-fry them one by one. Roll out one, throw it in your pan and while that one is dry-frying, roll another one. There is no best way to do this. If you want to save time, then go with the third option or the first. Don’t forget to keep an eye on the flatbread that is in your pan. This mashed potato flatbread is soft and chewy. To keep them warm, place them in a bowl and cover with a plate. You can also keep them wrapped in tin foil. Just so you know you can make this with plain mashed potatoes or with leftover mashed potatoes where you probably have already put salt, butter and milk. Both ways will work. You might need to adjust the amount of flour slightly. 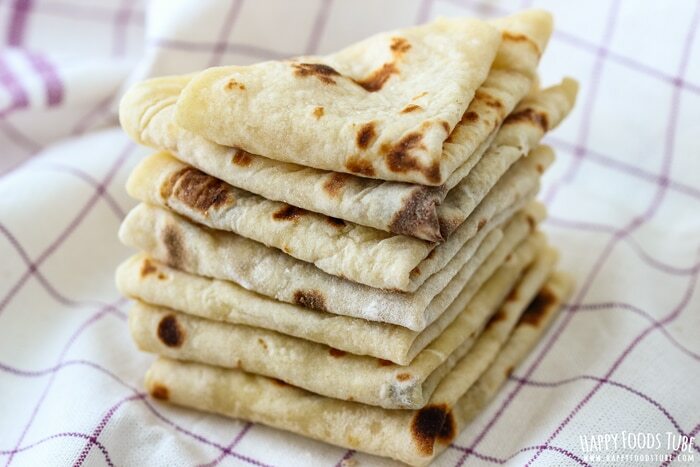 Want to see how to make Mashed Potato Flatbread? Watch the video! Place the flour and potato mash onto your work surface. 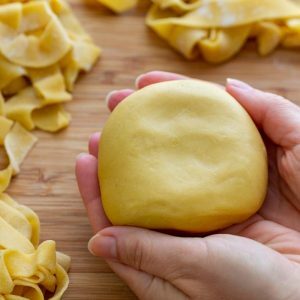 Using your hand(s) start bringing the ingredients together until you form sticky dough. Roll this into a sausage and cut into 8 pieces. Form each piece into round shape. 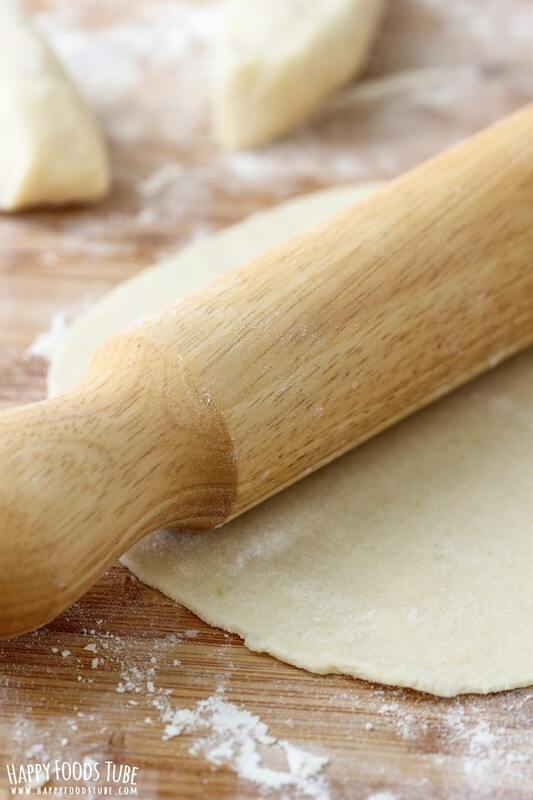 Make sure the work top and dough is dusted with flour before you start rolling it out. Roll it out thin. Cook on medium to high heat on a dry frying pan for about 2 minutes (1 minute per side) or until done. Best served right away while still warm. This potato flatbread can be made with leftover potato mash as well as freshly made mash. Just make sure it’s cooled down before you start working with it. If your mashed potatoes include butter, milk/cream and seasoning this is fine. You just might need to adjust the amount of flour a bit. However, the potato mash should not be way too runny. 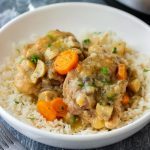 I’ve never made this with mashed potatoes, and now I’m dying to! 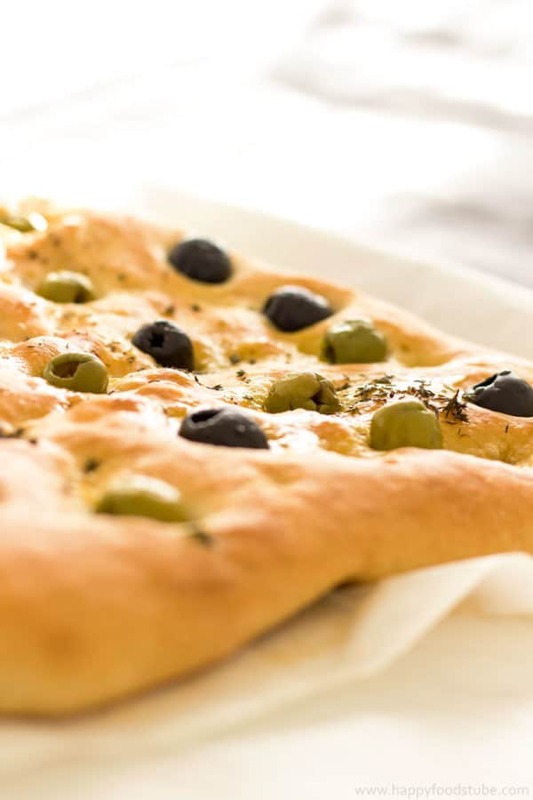 These flatbreads look fantastic. I might have to make a batch of potatoes just to have leftovers to try this. :) You will love them, Amanda! Any GF flour recommendation, to sub the regular flour? 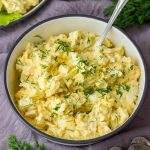 I have never made anything like this before – I cannot wait to do it this year when I have leftover mashed potatoes! I love flatbread! 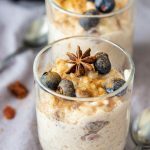 I’d love to try out this recipe, looks so easy to make! Ooh, such a wonderful use of mashed potatoes! The flatbreads look incredible. I would love to try them with duck and braised cabbage. Ok I need to make this, I’ve never made any kind of potato bread but it sounds so great! 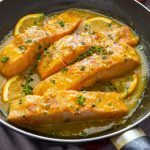 And this recipe is nice and simple! I must try the yogurt flatbreads – they sound delicious too! Can you use self-rising flour? Just trying to use what I have on hand…need to make this right away. Hi Ida, No. Unfortunately, you can’t use self raising flour here. I’ve tried. There is no rising agent needed to make these which self raising flour contains. I too wanted to use what I had on hand but was not happy with the result. I highly recommend getting all-purpose/plain flour to make them. That’s lefse, Norwegian potato flatbread. Being of Norwegian heritage I grew up with potato cakes like these. Just have to have every once in a while! 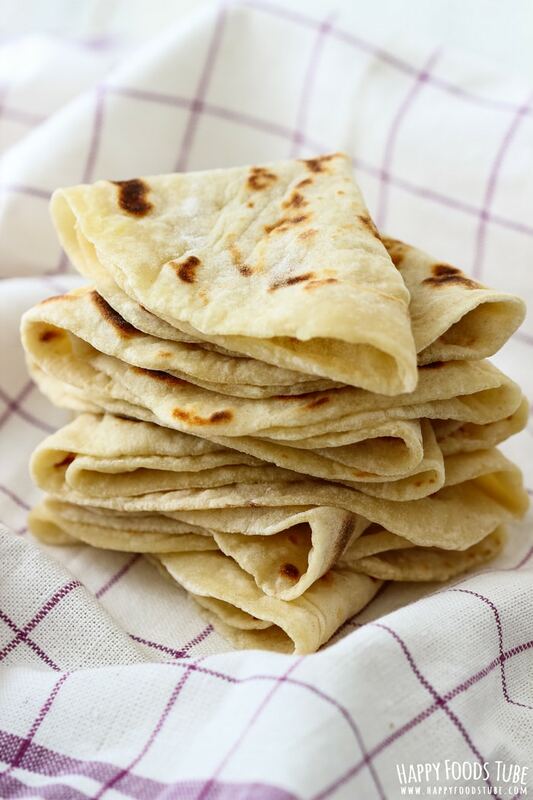 Potato lefse is a little different process but so very similar. Yes, they are very similar and I like both :)! Norwegian Lefse has a few more ingredients and is rolled flatter, but definitely similar! Probably tastes very close. Can gf flour be used?? I truly hope so as they look SO good!! Peggie, I haven’t tried myself but I’ve seen some recipes using gf flour. Just note that the texture might be slightly different. 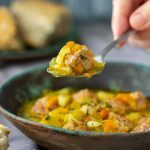 I suggest to half the recipe and try yourself to see whether you like them or not. If you do try, please let me know how they turned out! I am here to say that making these with Arrowhead Mills gluten-free flour works great. These were lovely with a big pot of soup, and my guests seemed to like them, too (happily accepting seconds). 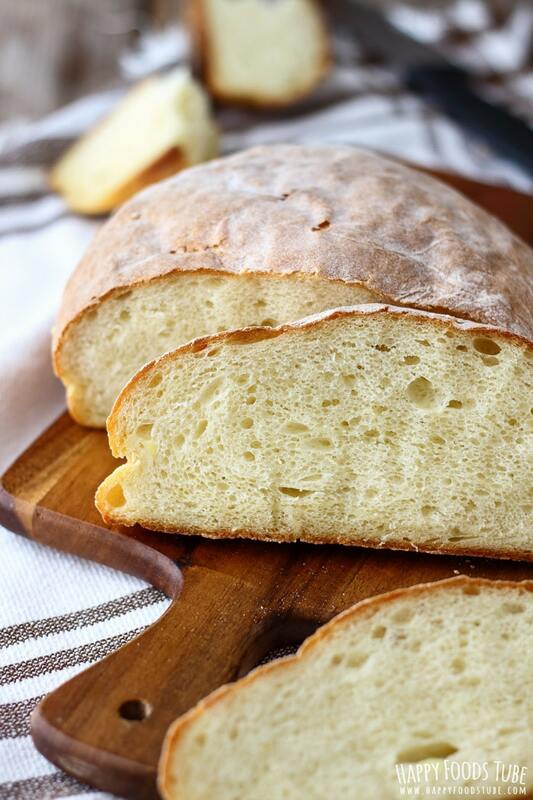 This is a recipe I will return to, as I don’t have many homemade gluten-free bread options, but this is one, and it’s an easy one. Yay! Thank you so much for the recipe. This totally made my day. 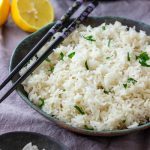 I made these with a twist – after flattening them out I added a few finely sliced spring onions then rolled the up and flattened out again before frying. Delicious. My husband took one look at them and exclaimed “Tattie Scones I haven’t had these for years” and ate the lot! Thanks for your feedback, Marina! I am happy to hear that your husband liked them. The addition of spring onions sounds delicious – will try it next time I make them! This looks amazing!!! Two quick questions for you. … First, could you do this recipe with cooked sweet potatoes? and second, what is that yummy looking dish that the bread is being dipped into? Looks delicious!! Thanks! Thank you so much Kimberly. Yes you can. 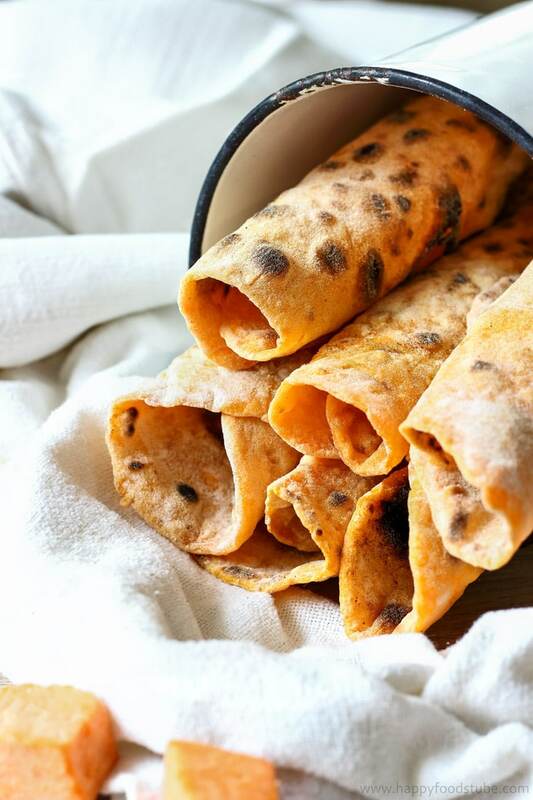 I actually have a recipe for sweet potato flatbread on my blog so you can check it out: https://www.happyfoodstube.com/homemade-sweet-potato-flatbread-roti/. The dish was Instant pot sweet potato lentil chili but I don’t have a recipe for that on my blog.Sorry. 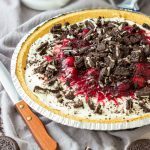 I cannot believe that I found this recipe!!!! What memories it brings back ……… my mom who was Slavish used to make this quite often. My brother and I would wait anxiously for each one to come out of the pan, then we would smear it with butter, roll it up and ….. yum!!!!! I definitely have to make these for my grandchildren!!!! In Ireland we call this potato farl or potato bread. We would add a little more flour than potato and they would be a bit thicker about 6mm. I think I prefer the look of yours. Going to try your sweet potato one today. Thank you for the recipe. I made these today and they were easy to make and tasty and I can think of so many uses for them. Next I’m going to try the sweet potato flatbread. I’m also passing the recipes on to my sister and brother. This flatbread tasted wonderful. I used a dry, nonstick pan for cooking, and found the excess flour coating the bread darkened in the pan, requiring frequent wipe downs during cooking. Maybe I’m leaving too much flour on prior to transfer to the pan, or my heat is too high. What heat setting do you use? Any advice to improve my technique is appreciated- thank you! Hi Randy! Thanks so much for your feedback! Don’t worry about the excess flour – just wipe it down when needed. I do the same. Yes, it’s connected with the amount of flour stuck to the flatbread. Sometimes there is more, sometimes less. You can try to brush the excess flour off with a pastry brush but I would not personally worry about it. Hope this helps. Let me know if you need any more advice! Can I freeze this ? Yes. I haven’t tried myself but my aunt freezes them regularly and have never complained :). I recommend putting a sheet of baking parchment in between each one of them when stacking them. That way you can easily take as many as needed. Hi Julia, can they be used for puzza? 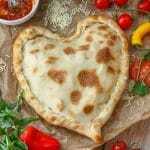 Hi Carole, I have never tried it but I love the idea and will be trying it the next time I make the flatbread. I will add a note to the recipe afterwards. Please, let us know if you do try before me! Good morning! 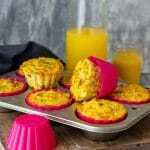 Has anyone tried using part a/p flour and part cornflour or cornmeal? Thank you! OMG….these are absolutely amazing! Made them to have with soup for dinner. They take no time to make, so simple. When they came off the pan I brushed them with melted garlic butter. To me it was like eating garlic naan. My husband said these are his new favourite thing. Thanks for the recipe! Yay! :) It always makes me so happy when I read comments like this. Thanks so much for your feedback, Sherry!